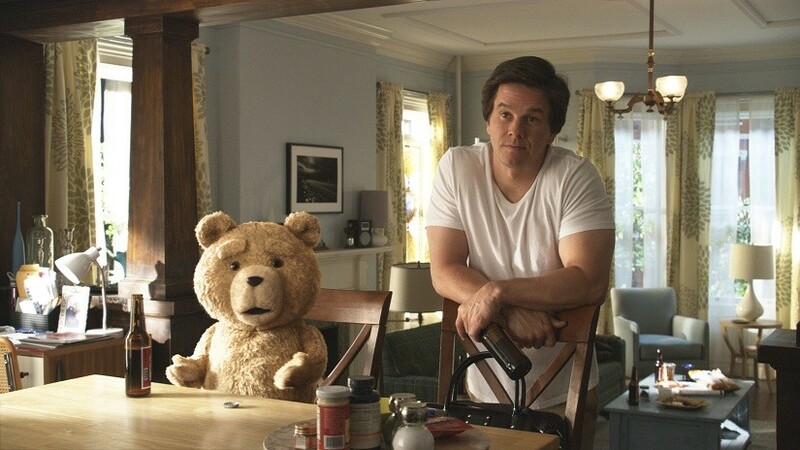 If you’re thinking Ted isn’t exactly a family film, then you’re damned right. And that’s a good thing. Given its pedigree (MacFarlane is the creator of Family Guy), you get pretty much what you expect here. Yes, there’s crass and borderline offensive humor, but there’s also some sharp cultural commentary, quick pop culture references (including an homage to Airplane! and much love for the film Flash Gordon), and most of all, some hysterical lines of dialogue. All involved, from Wahlberg and Kunis down to Sam Jones (that’s Flash Gordon himself), Tom Skerritt, Norah Jones (!! ), and another cameo I won’t spoil, buy into the whole thing. But really, the film works so well because the impossible relationship between John and Ted works so well. MacFarlane, for all his raunch and juvenile humor, has created a sweet, believable friendship that feels real, whether these two are naming white-trash girlfriends, hiding from the thunder, watching TV, or beating each other up in a motel. Kunis’ Lori wants to move forward with her relationship with John, but she fully acknowledges that the two have a tight, almost unbreakable bond. And this is helped immensely by Wahlberg, whose boy-who-won’t-grow-up performance is spot-on. Yes, Ted really does have a beating heart at its center. And it’s not just the characters MacFarlane likes, it’s Boston too. Ted totally feels like a local movie, with many landmarks in view, a great shout-out to Tom Brady, and some winking nods at local culture. It also features what may be the second-most exciting cinematic climax set at Fenway Park after The Town. There’s an unnecessary and creepy Toy Story-esque subplot involving Giovanni Ribisi as the father of a child who wants Ted for himself. And I would have loved it if there was some interaction between Joel McHale (who plays Lori’s boss) and Ted. But really, that would have distracted from the great core of this movie, which is simply John and Ted hanging out. 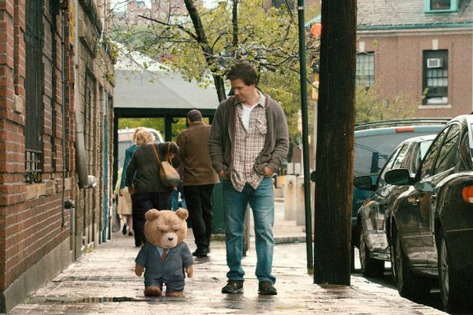 If you hear “talking teddy bear movie” and think, “Awwww, how cute,” you’d be advised to avoid Ted at all costs. But for everyone else, Ted provides a whole lotta laughs, from start to finish. I’m giving Ted a B+. You totally just convinced me to see this movie. Awesome. Hope you like it as much as I did!